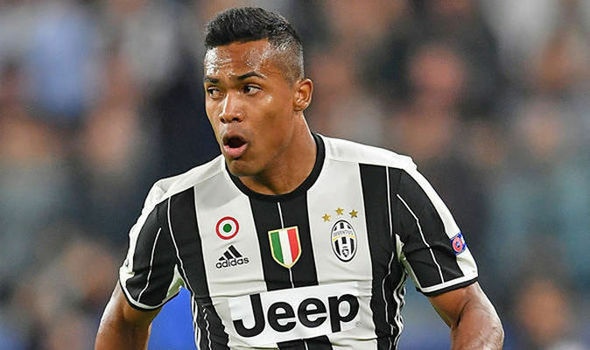 Brazil international, Alex Sandro is not willing to leave Juventus this summer after the arrival of Cristiano Ronaldo. The left-back has been linked with an exit from the Turin outfit at various points in the last two years and was expected to leave the club this summer. However, a new report from Italian publication, Calciomercato states that the 27-year-old is willing to stay at the club as he feels that the arrival of Ronaldo has elevated the Serie A champions to another level. He has been linked to Manchester United and PSG this summer as he seeks a significant rise in his wages, though it seems that he will sign a new deal. Sandro, who is one of the world’s best leftbacks endured a difficult campaign last term as he struggled to reach his exceptional high standards. He had injury and form concerns that saw him lose his place at a period to Kwadwo Asamoah. He will be refreshed this summer after missing out on Brazil’s squad for the World Cup, meaning that he has had ample time to rest and get back to his levels. After crashing out of the Champions League last term in the quarter-finals to Real Madrid, Juventus are ready to launch an assault on the trophy in a bid to win their first title since 1996. Sandro, known for his defensive and attacking balance, reads the game well and has an exceptional work rate. He joined Juventus in the summer of 2015 and has scored 9 goals in 114 matches for the Bianconeri. His decision to stay with Juventus means, unfortunately, we have to look at other options to solve our left-back crisis.